Content marketing is more than lead generation. The industry’s potential is in content that embraces the full trajectories of user experience. To make its place, content needs to flow upstream. Despite content marketing’s established success, its full potential remains to be captured by operations willing to prioritize the long term needs of users and flow against the current of sales pitches. Content marketing is officially in. Many companies keep blogs, maintain social media profiles, design infographics, and share brand stories across distributed channels. 74% of B2B content marketers report that on top of this, their companies appreciate the creativity and craft that goes into that work. Despite the seemingly settled frontier, a lot of bad content continues to saturate the market and strain attention spans. The momentum of an industry’s assumptions are always catching up to it. Despite the disruptive wave on which content marketing rides, companies too often jot it down as an expense to be absorbed, a cost that needs a direct and immediate ROI. They’re looking at the campaign that supports the launch of that piece of content as your yardstick of success. In other words, if I create an infographic and I throw it out on LinkedIn and I throw it out on Twitter and I put it out on a blog and I promote it and it produces ten leads — yay! And if I produce this extensive, long white paper and it’s beautiful, and it’s thoughtful, and it’s high quality and I throw it up on LinkedIn and promote it through Twitter and throw a couple of Google ads and it produces ten leads — eh, then I’m not as impressed because the white paper cost so much and it produced exactly the same number of leads. These metrics frame content marketing as another marketing campaign and reveal an underlying, regressive mindset. It might be continuous or creative, but if it’s an initiative to deliver sales leads, then it doesn’t enable content’s potential. Content marketing is more than a creative marketing initiative. It’s more than joining users on a shared channel. It’s more than generosity. Content marketing is a disruptive strategy that can and should reorganize an entire business. The upheaval it poses is a response to disruptive effects still cascading from ever growing Internet technologies. Before the Internet, power gathered in centers of distribution, to people who had the infrastructure and the effectively exclusive ability to move information and goods. The power always flows from the customer. It doesn’t flow the other way. This is why the Internet is fundamentally different from the offline world. In the offline world, power flows from controlling supply. In the online world, power flows from controlling demand. This is a shift from a supply-based goods economy to a demand-based information economy. When the flow of power shifts, every dependent will eventually shift with it. How do you control demand? Ads certainly aren’t the way to do it. People reject them almost universally through ad-blockers, muted speakers, and averted eyes. If you’re lucky. Otherwise, they leave and never return. Fine-tuned targeting alleviates the alienation somewhat and native advertising is sweet enough to make some bitterness. These methods, while effective to some degree, allow companies to delay the disruption this economy portends. A demand-based economy is ruled by those who can provide the best user experience. Attention is a scarce resource and creators need to earn it. Companies can’t surmount this competition by merely providing a good product. It requires an exceptional product delivered through and driven by an exceptional user experience. A holistic understanding of experience goes beyond the work done by UI and UX designers, as important as it is. User experience doesn’t consist only of the presses and swipes on an app’s screen. Experience is vast. It includes the habits that drive users to pick up the product, the needs that encourage users to search and discover, the environment in which users engage, user associations with the brand, user wishes and desires as people and as professionals, their beliefs and morals and principles, their skills and affinities and tastes, their social statuses, their immersion in the topic. It should go without saying — humans are complex creatures. But in traditional marketing, it’s easy to forget that as it segments populations and targets them with campaigns. This complexity is amplified most by our temporality. We don’t exist as demographics. We’re nodes in vast social webs and agents in life trajectories that we are always trying to shape to our desires. Bad content is focused on building trust in the brand’s ability to sell the product. The content is unimaginative and boring. As Pulizzi said above, the metric of sales leads rules this content and incentivizes it to be cheap, short, and fast. These companies eventually give up on content marketing because it doesn’t generate leads or pursue it with the dogged repetitiveness of a conveyor-belt bureaucracy. The logic behind this structure is downstream marketing. It starts with the product. All downstream initiatives flow from the assumption that the product is the value that is on offer. When the product is the sole value, all content will consist of watered down pitches. At best, the content will proclaim value in the hope that exclamation doesn’t sound like advertising. Oftentimes, the product is great. This compels companies to assume that the product is their value. But consumers don’t buy products; they buy solutions. Beneath every purchase is the belief that a product or service will solve or alleviate a problem. Sometimes the problem is clear to the user and they search for solutions; other times, users accept a situation as normal and companies need to problematize it before a particular solution becomes desirable. These solutions can address needs as deliberate as career development, as base as food or shelter, or as unconscious as boredom longing for entertainment. Attention is a currency as valid as cash. Users spend it carefully and despite screeds about phone addiction, they’re thrifty and willing to swiftly retract their attention. Downstream content can’t compete. Content cannot merely be good. Users are always already immersed in “good enough” solutions. To connect with them, content needs to understand the problems that hold users back and the needs and commitments that propel users forward. Focusing on pain points just gets you to the front door. To get to the heart of your customers’ needs, you have to focus on what they want to be and help them get where they really want to go. Content needs to understand those trajectories and help users reach further, go faster, and succeed more. This demands that content avoid the flow downstream from the product, but goes upstream, against a world that competes for attention. Don’t offer users a product; offer them a need fulfilled. Downstream marketing assumes, like a writer that cannot kill their darlings, that you must exhibit all the efforts made. The product becomes almighty and hangs around the content like an albatross. Upstream content marketing knows that users have experiences that extend beyond and before their interactions with a product. The primary mission of upstream marketers is to convince users that they share a common trajectory. Upstream marketers find trajectories big and small that they can authentically share with and between their users. There needn’t be perfect reflection; there only needs to be a shared goal and eventually — with a little convincing — a shared path. Upstream content marketing flows from the user’s experienced need, up the stack of problems the product can directly address to goals that are as yet out of reach. It’s not about selling the product — truly — it’s about selling the shared need. Once you can convince users of this, they’re along for the ride. Once you share a journey, they can endure your mistakes, setbacks, miscommunication, and market shifts. Products come and go, but the useful perspective of an authority that shares your values and goals is hard to come by. Even a loyal customer will lose faith during a downtime a product alone forms their trust. Upstream content thrives on conflict. While downstream marketing takes the path of least resistance from the known product to the predictable content to the estimated demographic, upstream content marketing fights against the current and defines itself in that struggle. A lot of content marketing is, to be frank, hollow. The infographics are all neon colors and perky fonts; the Twitter posts are bedazzled with hashtags and laced with glowing advice; the blog posts are punctuated with bold, italics, line breaks, and cloying pleas. It can be a little overbearing. Optimism isn’t bad, but storytelling without conflict is. That doesn’t mean you have to trash talk your competitors. It means that you need to align your trajectory with your users and investigate their problems and needs with the resources they can’t afford to spend. You want them to come across your content with delight, astounded that someone put that into words, shocked that someone knew that so well. If you’re a company that offers software quality assurance, don’t base your content around generic tweets (“Don’t you hate bugs?! #QA #Technology”). Build content on a substantial understanding of the problem — in this case, of lost time, wasted money, missed schedules, perfectionism, disappointment, anxiety about business success. The nature of human experience is to be in conflict with many things, all at once, all the time. Tell that story. Investigate the deepest roots of a conflict like a reporter on a beat. You might need to take risks. Take a lesson from media companies. They don’t survive when making broadly agreeable, bland content. They thrive on perspective and voice, on the bravery to state a contrary opinion or an unpopular truth. Content needs to do this too. Authenticity is derived from the willingness to put skin in the game. The goal of good storytelling is not only to tell a good story but, in that telling, invite your users to participate. You are the beacon or guide in this story, not the protagonist. If you are merely another tool in another shop on the hero’s journey, you might be used but will ultimately be traded up, sold, forgotten. If you are a trusted advisor, your advice will be sought again and again. But you’ll only be trusted if they believe you can be a companion on their journey. In an attention economy, we have to assume that a user’s attention is always already elsewhere. More than likely, their needs are already somewhat satisfied. To convince them your solution is better, you need authority on the problem. That means content that focuses on addressing the need more than parading your solution. Go back to the job in the job-to-be-done that your product solves. Root your content perspective in that job and spread out from there. There will be many paths and your current product will only be one of them. Explore. Some will lead you to partnerships with companies, some will lead to content that helps on its own, some will lead to opportunities for new products. Traditional marketing can, at best, target shared aspects of a demographic’s past. The democratized freedom of shared information creates a different environment. building long term assets that are going to change the entire nature of the organization. […] I want to build a loyal audience because I think there’s an opportunity to monetize that audience in X different ways and change the world. […] I don’t want to optimize for more leads. I want to change the nature of the business because you’re creating better customers. Better customers are customers better understood. You can’t get to this level of understanding by only asking them. Most people only know broadly what they need. Study how users interact with, react to, and use the content that you offer them. Help users go further in their trajectories — not your sales funnel. The goal is to understand the goal, the job-to-be-done, the need beneath the want. A product is merely one way of addressing this, but content opens paths beyond that. A company that sells pillows only sells pillows — even if they’re the best pillows around. A company that uses content to address the needs of its users and align itself with their trajectories creates a niche in the user’s mind that other brands cannot easily replace. Those needs might lead to content about topics like sleep health and products like mattresses. They could also lead to content about work/life balance and products like sleep-aid apps. A niche, as always, is necessary, but a content-first approach ensures the experience that validates that niche comes first. Content gives users the language and the tools, either through implicit interaction or explicit reaction, to articulate their needs in ways the company can address. The more engaging the experience, the richer this information. The richer the information, the more ideas, the better product development, the faster, safer product launches. When done right, users are asking for it before it’s even on the whiteboard and they’re preordering it the moment you announce it. Why do good companies produce bad content? The upstream vs. downstream schema isn’t revolutionary. Many of the original, founding insights for content marketing addressed similar possibilities. 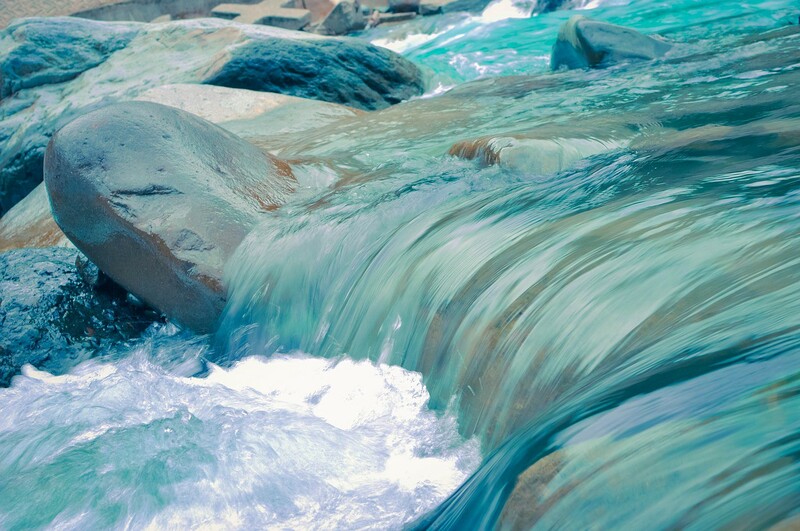 Upstream and downstream is a way to explain the mindsets behind good and bad content marketing. As content marketing becomes established, there will be people who try to rein it in, to limit it enough that they can understand it. Content marketing is both a method and a disruption; it can be a tool in the arsenal or the leading edge of a business’s evolution. Users don’t want to be consumers anymore; they want to participate. Content is key to building a structure that welcomes users rather than targets them. A content strategy based on upstream content ensures the user experience and trajectory is always at the forefront. It doesn’t shy from the competitive attention economy it can’t escape. It ensures that resistance, friction, and conflict produce value that authentically serves the user. Upstream content marketing isn’t easy. But if content marketing is the future, the upstream mindset will enable its lasting success.